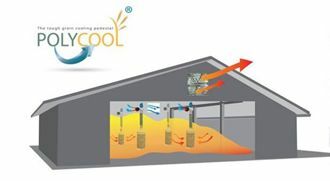 Polycool moves air through your floor stored crops to keep them free from storage bugs and moulds. Constructed from tough twin wall plastic, Polycool grain ventilation pedestals are ‘loader proof’ and easy to move. 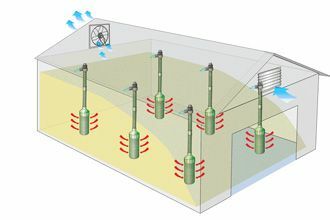 Combined with high output centrifugal fans there is no better way to condition your floor stored crops than with Polycool grain ventilation pedestals. The ribbed construction of the Polycool base not only adds strength, it stops the crop from blocking the perforations and allows equal air movement from less open area. The slotted area of the polycool pedestal range is designed to match the airflow created by our pedestal fans. This means there is no loss in cooling efficiency when comparing Polycool pedestals with metal pedestals.